We thought about this one after many of the articles were posted up last night (some with obvious presumptions about the fate of the Nexus 7) and have a few possibilities that might explain why Asus and Google entered the partnership they have. Out of all of the possible reasons for Asus making the Nexus for Google one of the biggest was to prove the ability to meet demand on a large scale for a product like this. Asus has always been able to meet large scale manufacturing commitments for their component and channel business, but they have plans (that we talked about some time ago) to potentially market directly to the consumer. To do this (and make it work) you have to show that you can meet consumer demand. Building the hardware for something like the Google Nexus will do that for you. It would also be a nice benefit to them for brand loyalty after all Google trusts them for this so it stands to reason the consumer will. Most consumers know that while the Galaxy Nexus is the “Google” phone it is made by Samsung which puts the Samsung brand into their minds. It is this type of strategy that Asus would want to ply up in their long terms goals. The next reason that Asus might want to do this is that their manufacturing arm Pegatron is making a direct competitor to the android based tablet in the forum of Microsoft’s surface. In order to keep both sides Happy Asus might have entered into agreements with both from two different angles to make sure they got the biggest benefit. Third in the lineup is that Asus could potentially be making much more than we know per unit. It is only Google that is saying there is no margin. This means that Google is selling them for just about what they cost them to buy and ship from Asus. It does not cover what is paid to Asus for purchase and shipment. Google might very well have leveraged Asus’ lack of litigation with Apple (Apple also uses Pegatron to make iPads and iPhones) combined with their good relationship with nVidia and well good design skills to make this product. To get that benefit we figure that Google would have had to make it worth Asus’ time and effort. Now on top of all of this remember that it is important to make the market feel they are getting something special. With the iPad they feel they are getting engineering and design combined with that “me” factor of the iPad. With Android the push needs to be different. I would not put it past Google to exaggerate the margins on the new Nexus a bit to let the consumer feel more like they are getting a deal. 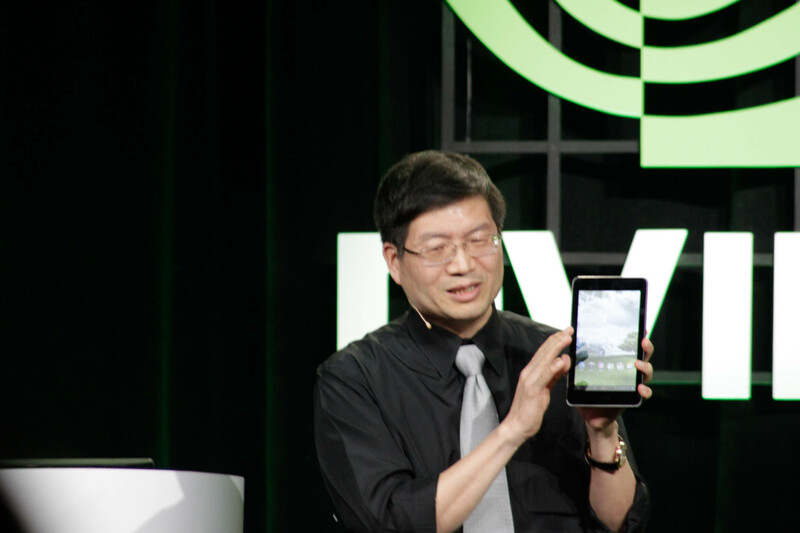 After all Jen-Hsun Huang showed us what Tegra 3 could do at CES and during that even he brought out a 7-inch tablet from Asus that was priced at $249. That device looks amazingly like the Google Nexus 7. At the event we were told that the new product would be out around the beginning of summer. What is the truth of why Asus became the manufacturer for Google? Well it is most likely a combination of the three. We highly doubt that Asus would enter into this as a money losing option. They already showed off a working model of this device at CES so the hardware was sorted out long before this announcement. We also have a hard time imagining that Google would lose too much from this either. The margin might be slim, but it is there. They are only betting that people will use it to consumer more product and provide a better revenue stream instead of a onetime purchase. Lastly we are sure that Asus/Pegatron would want to make sure to keep all of their partners happy so making flagship products for both Google and Microsoft make sense.